Here to help everyone use and implement assistive technology better. 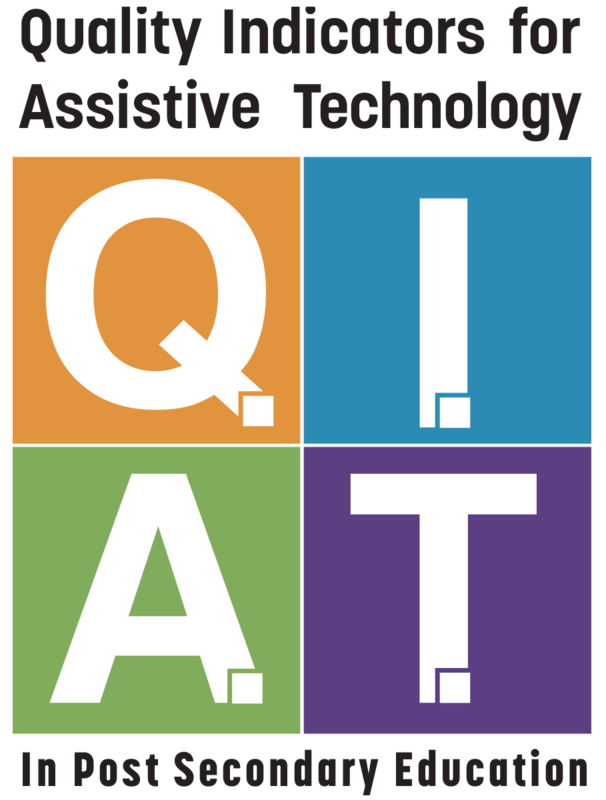 QIAT-PS is a set of quality indicators in five content areas for Assistive Technology (AT) in Post-Secondary education. The Campus Self-Evaluation Matrix tool is a way to measure AT service delivery and excellent method for institutional self-study to improve AT services at your school. Check out the Campus Self-Evaluation Matrix. QIAT-PS also offers a set of quality indicators for identifying AT skills students’ need. Using the Student Self-Evaluation Matrix is a way for individuals or teams to help identify the skills needed to use AT in the Post-Secondary environment. Check out the Student Self-Evaluation Matrix. Do you want to become more involved in the QIAT-PS project? Sign up below to receive announcements on upcoming, presentations, new resources, and collaborative projects. Funding for the QIAT-PS project is provided by the Great Lakes ADA Center at the University of Illinois Chicago under grant #90DP0024-01-00 from the National Institute on Disability, Independent Living, and Rehabilitation Research (NIDILRR). NIDILRR is a Center within the Administration for Community Living (ACL), Department of Health and Human Services (HHS). The contents of this page do not necessarily represent the policy of UIC, NIDILRR, ACL, HHS, and you should not assume endorsement by the Federal Government. © Copyright 2019 Great Lakes ADA Center. Reprint permission granted for non-commercial use if proper credits are retained.